Firefighters Movers The Colony TX | Firemen Movers - MoveStar Inc. The Colony is located in the Denton County, Texas, United States. The city is one of the rapidly developing suburbs of Dallas with a population of around 40,000. The Colony is well known for its Five Star Athletic Complex that was completed in 2003 and was also named Sports Town of The United States by Sports Illustrated on its 50th Anniversary in the same year. The Colony is also the corporate headquarters of the Pizza Inn and Edward Don distribution center. With multiple small and medium-sized businesses, thriving ideally in the city, a mixed-use development including apartments, retail businesses and condominiums is currently attracting people to this destination. It is but natural for anyone who wants to relocate to a new city to start off fresh in The Colony. With MoveStar firefighters moving company services at your behest, you need not worry a bit about the shifting process at all. Check out some of the highlighting features of our firefighters movers that can give you a clear-cut idea about why we are one of the most trusted moving companies in Texas. We have experienced staff of firemen movers who are well trained in handling all types of latest equipment and technological adaptations for making moving a tension free and smooth experience for you. MoveStar moving company has been in this business for around two decades and hence is a name to reckon with in the field of moving. Irrespective of whether you are relocating within the city, outside the city or even outside the state, our off duty firemen movers are always ready to provide efficient and dedicated service to all our customers. We provide both commercial and residential moving services. 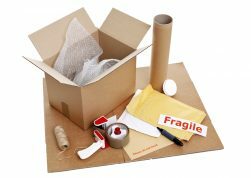 You can rely on us for moving all your gadgets, items and equipment from office to warehouse safely. 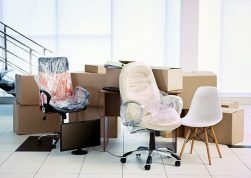 We provide you with additional information, checklists, and handouts prior to the moving day to ensure that you do not skip anything before the actual shifting starts. MoveStar fireman movers believe in offering customized moving and storage services and for that, we are ready to discuss things in detail at your home or office. Call MoveStar office immediately to know in detail about our moving deals and special affordable packages! For immediate questions or to receive a quote by phone please call 972-716-9911 or Request a No Obligation Quote today!